Hello friends! I am back on dry land following a whirlwind girls week that didn't exactly go as planned. If you know me personally, you know I live life by a schedule and a spreadsheet. Well I learned on this trip that not all things can be planned for and sometimes you have to go with the flow. 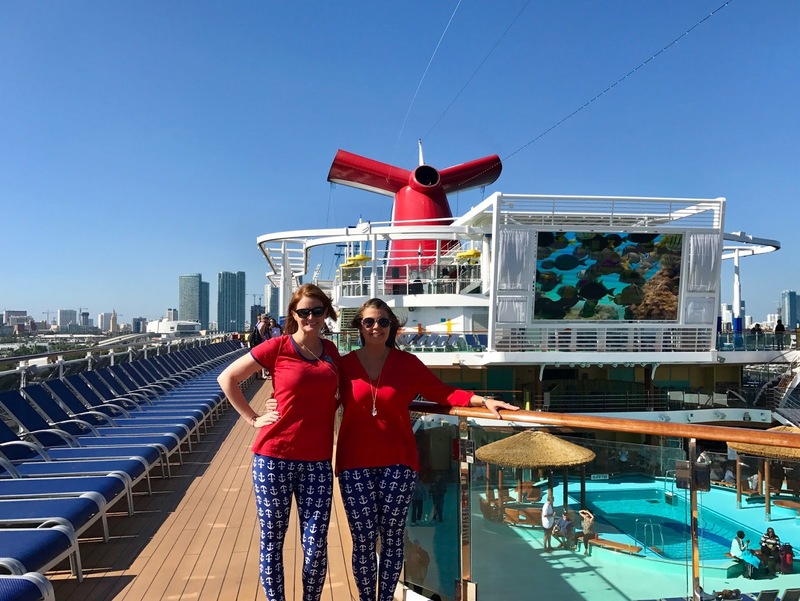 My best friend and I go on an annual girls cruise following a race during Walt Disney World Marathon Weekend. We were scheduled to run the 20th year Walt Disney Half Marathon on Saturday but mother nature had other plans and the race was cancelled. However, that didn't stop some of us - check out what a bunch of us did instead. Sunday morning, we headed down to Miami bright and early and got on the boat around 11:30. We were able to explore the ship without many people on board. This was the earliest we've ever gotten on the ship and I can tell you, this was like adding an extra day at sea. I strongly suggest purchasing the Faster to the Fun if your suite or VIFP level (platinum & above) doesn't include Priority. 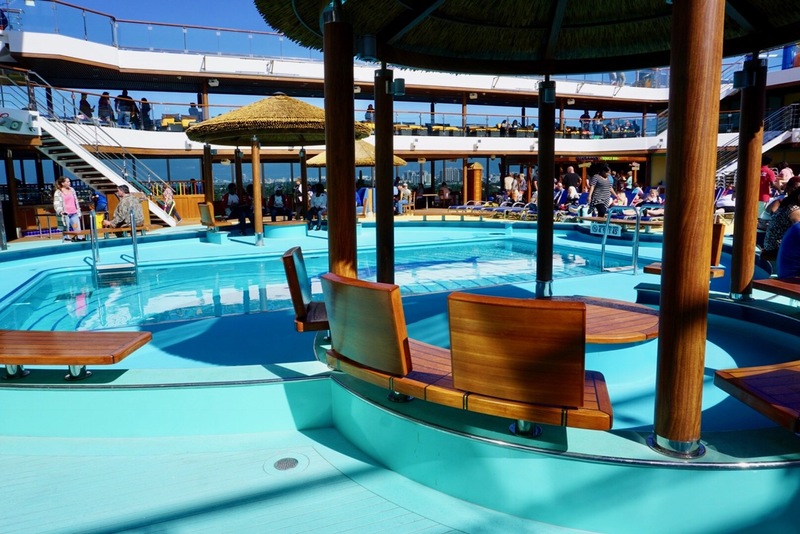 Upon walking in the ship, both of our jaws dropped. I knew this ship would be impressive but the Vista still took our breath away. I've been on my fair share of Carnival ships and can honestly say they went above and beyond with the ships decor. After getting our annual photo on the ships deck, we headed to the SkyRide. After a short 15 minute wait, we were on our bikes. 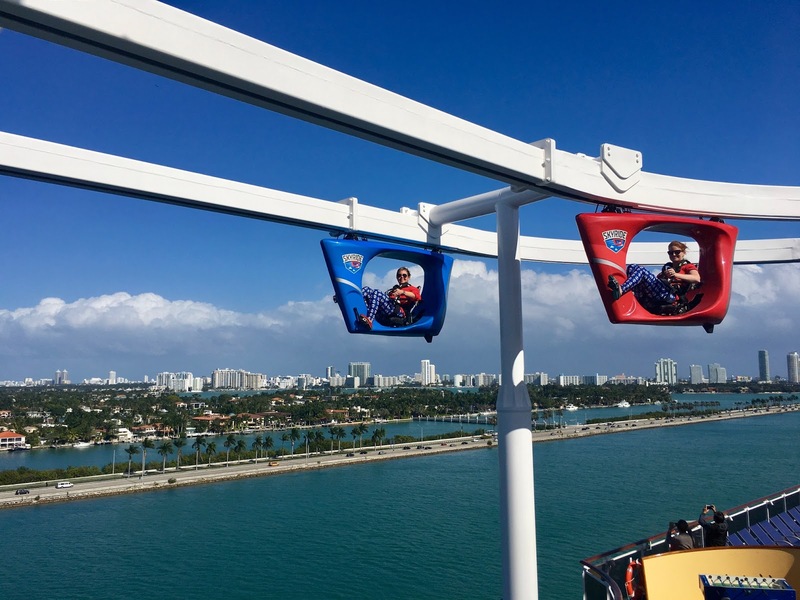 A tip for those planning to cruise on the Vista - do the SkyRide on your boarding day. Multiple days of our cruise, it was closed due to the winds. When it was open on days at sea, the line was loooooong. You also need closed toe shoes in order to participate. After the SkyRide, we headed to the lobby bar to get a Carnival Cosmo, our first drink tradition (check out the Carnival Cosmo recipe here). We really enjoyed the lobby on this cruise. The middle changes scenes throughout the day and it was a great spot to take photos! Check out the video above for the under the sea scene. 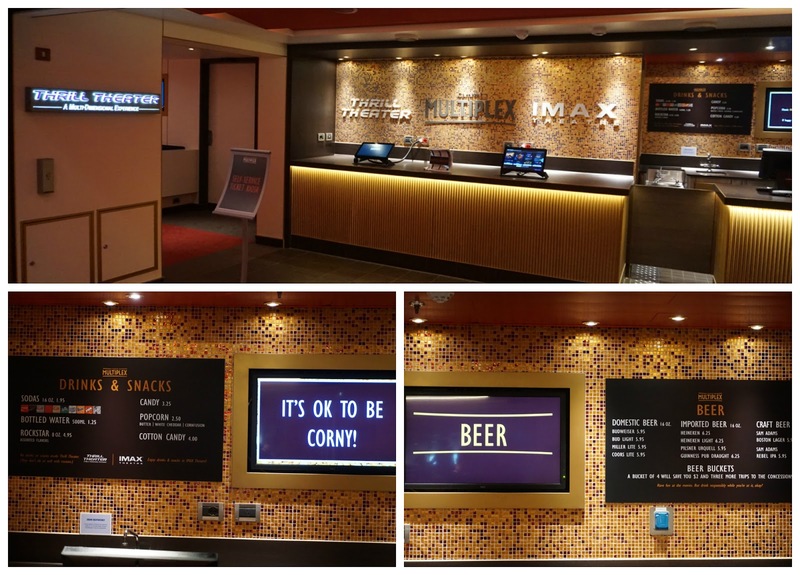 There is a theater on board - the Carnival Vista IMAX has movies showing that are currently in theaters. We almost saw La La Land on the last day at Sea but opted against it. Another big hit showing on our cruise was Rouge One. They offer popcorn, candy and beer at an additional charge. The price for IMAX was $12 a ticket. Very cool addition to cruising, especially for rainy days at sea. Let's talk SLIDES! The Carnival Vista has a large Waterworks area offering fun for all ages. The Twister was an extremely fast slide. If you are looking to do something a little more low key but tons of fun, you must check out the Kalide-O-Slide. I now know what if feels to slide through a rainbow. 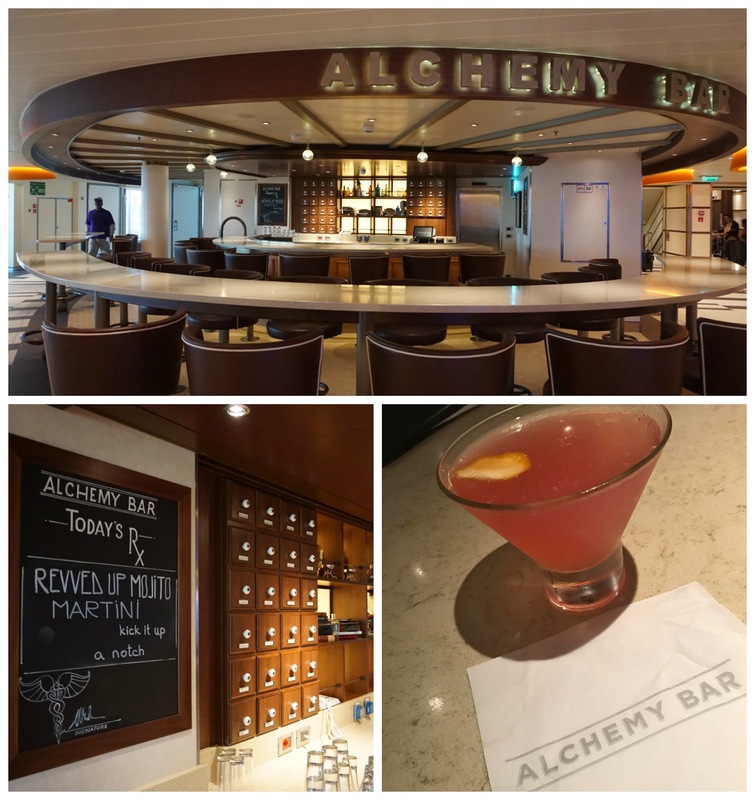 There are a variety of Bars on board the Carnival Vista.The Alchemy Bar still stands as my favorite bar on any Carnival ship. It is the best place to find craft cocktails on board. If you find yourself on the ship anytime soon, seek out Gabriel & AnnaMaria. They're pretty awesome! We spent a fair amount of time in Red Frog Pub. I absolutely loved the atmosphere. They had corn hole, foozball and table shuffleboard for their patrons to compete. Red Frog was also home to Karaoke and trivia. 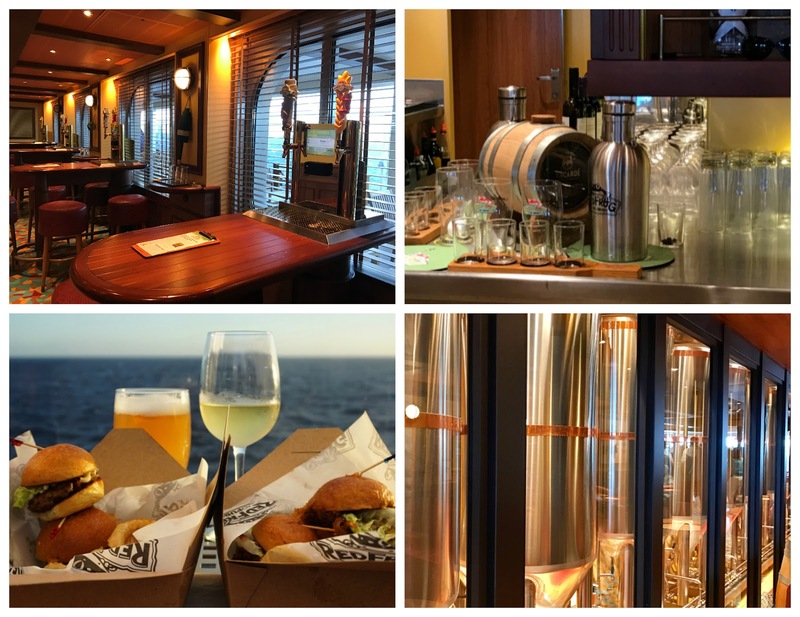 Red Frog has it's own brewery at sea and offers brew tours. Plus they sold refillable aluminum growlers! You can order their snacks (at an additional small fee) and take them back to your room. Lastly, they have pub tables which has their own keg. You swipe your sail and sign card and don't have to worry about going to the bar. Genius! 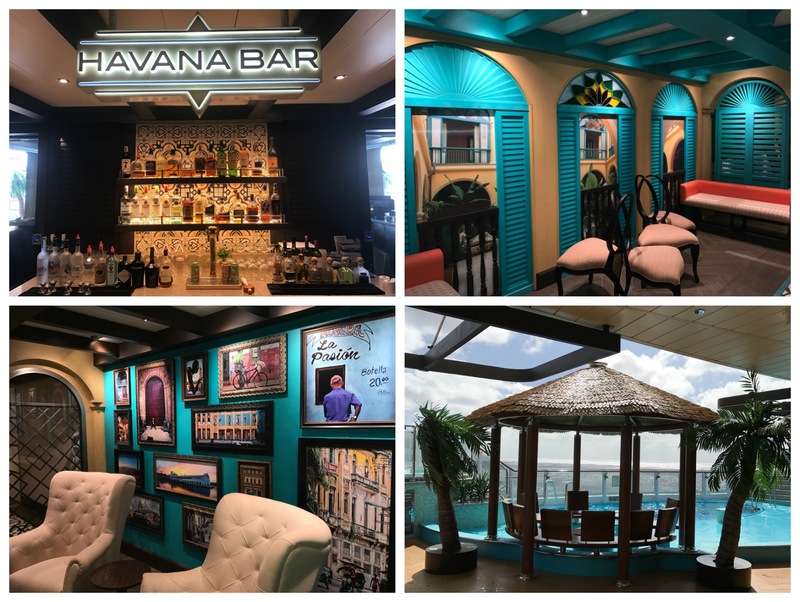 We loved visiting the Havana Bar and did so on a daily basis. They sold Cafe Con Leche and the best espresso martini we have had at sea. Havana Bar also offers snacks at an additional fee after 5pm. At night, it turned into a Latin night club with incredible dancing and live music. On the Vista, they have Havana Suites. Those lucky sailors had a private pool area. 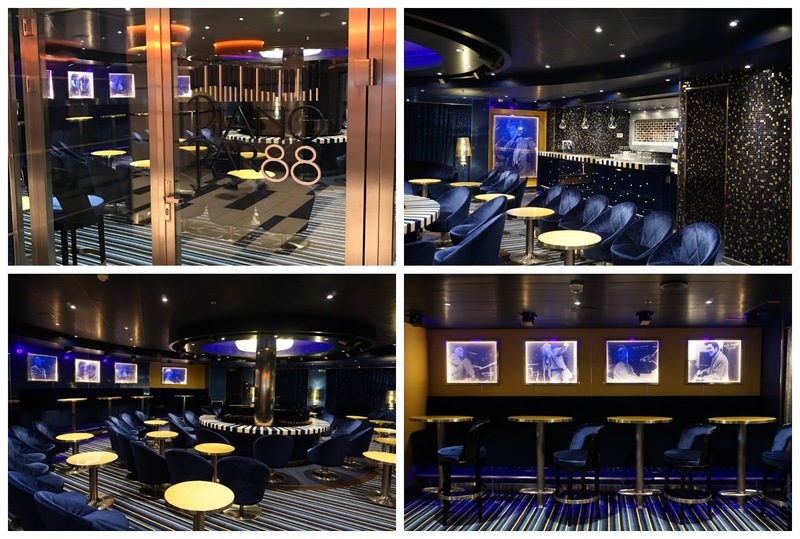 The Carnival Vista Piano Bar was far more upscale than any other we have seen. Live entertainment and singing along is always a great time. I liked that the Vista's one had a variety of seating options. The Carnival Vista Library Bar is a quiet spot to get an amazing glass of wine. This is the one place on the ship that you can get higher end wines by the glass. For the wine lovers out there, this is a spot you want to remember aboard Carnival ships.Especially if it has a balcony - hello sunset! The Liquid Lounge was a co-op space. In the earlier evening it was the home for live entertainment and later at night, it turned into a nightclub. We saw a few shows while on the ship and participated in Carnival Quest. If you are going on a Carnival cruise, I strongly suggest you seeing this show. I am not giving any details but can say of the two cruises we've witnessed Quest (perhaps participated), both left us with aches in our cheeks from laughing so hard. On this cruise, we enjoyed the Lip Sync Battle. 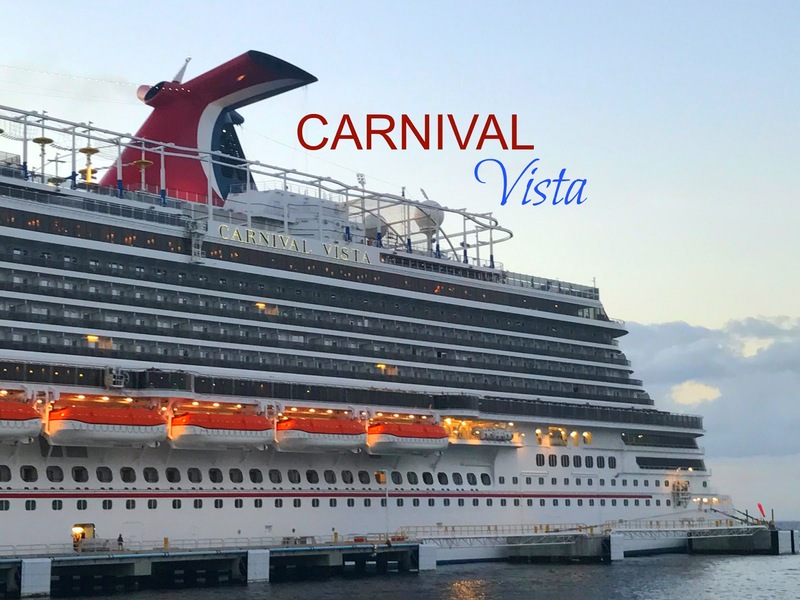 Stay tuned for reviews on many of the Carnival Vista restaurants, shows, our port activities and what to do when you have an unexpected additional day at sea. Thank you for posting! I am getting married on Vista on March 25th! Sometime in April when I write a blog post about Vista, may I include a link to your Vista post too? Hello! First off, congrats! We saw so many weddings on the ship. It's a beautiful one to celebrate your lives together. Are you getting married on an island or on the ship? I will be posting a ton of different stories about the Vista. And please, absolutely feel free to share my links! On the ship on embarkation day. The two location options are Library Bar and Limelight Lounge depending on the size of our group. Right now we are expecting 30-ish people and the Library Bar looks too small to accommodate that. I would say Limelight for sure. I have other pics of the inside of the library bar if you want me to send them to you. We never made it into Limelight but we did peek inside one day. There was a couple on our ship who were supposed to get married in Jamaica but we didn't port due to weather. So they ended up getting married in Limelight instead and said Carnival did a great job.